When I moved to California, some birders I know said "my condolences" when I mentioned I'd lived in Arizona before. Arizona's reputation for being a wildlife mecca is well known, and the locals here in the Bay Area look on with envy at the rare tropical species that the southeast Arizona sky islands bring in. But I have to say that I've enjoyed the local wildlife here in NoCal quite a bit so far. Just since Jan 1, I've already tallied about 140 bird species in my county alone - I haven't even made a coastal trip or a trip to higher than 1500' altitude. There are so many habitats close by that I can spend much more time 'in the field'. 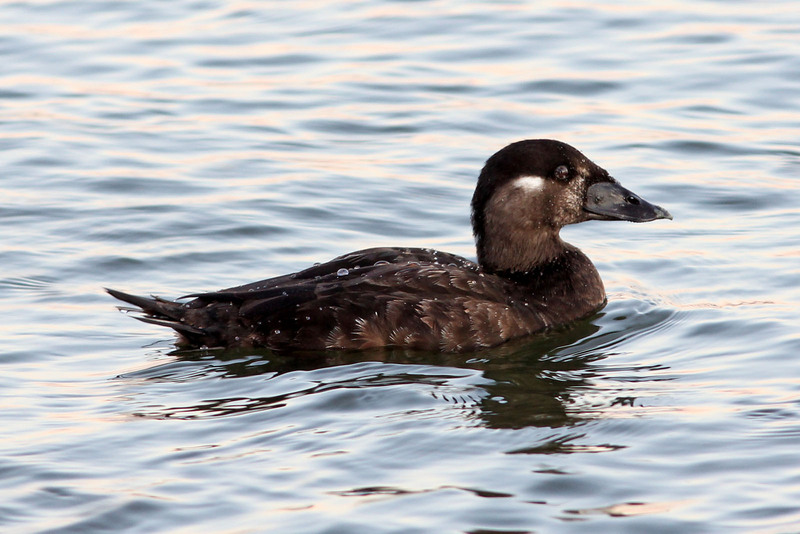 One of my local favorites so far has to be the Surf Scoter, a winter resident along the west coast. 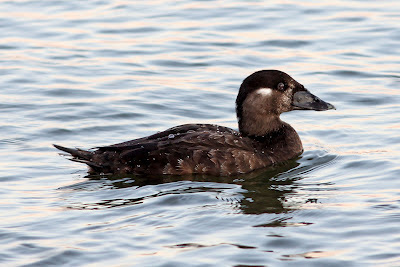 The photographed Scoter above is a male seen on Shoreline Lake. As I understand it, Shoreline is a reliable location for Surf Scoters in the winter, and this year there are at least 15-20 on a daily basis. 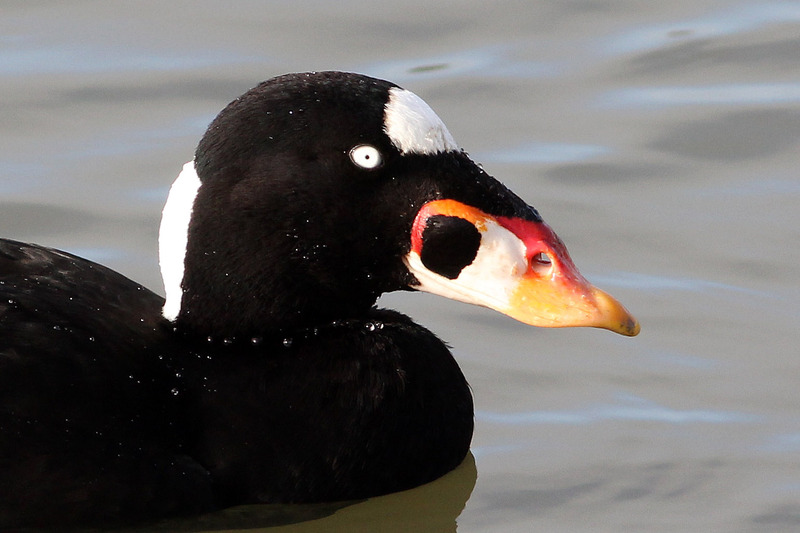 The multi-colored bill is striking and unique - Eiders and Puffins are perhaps the only other species that compete. The bill - short, hard, and with a unique wave, is thought to have evolved to pull shellfish that have wedged themselves into rocks and other tight places. Female Surf Scoters are much less flashy - generally a grey with a few white-ish accents, and a similar shaped bill with a touch of yellow on the end. Surf Scoters breed in northern Canada and the Arctic - so I expect that they will depart sometime after late March. What an unusual bird beak. Very colorful you might say. WOW!! Nice pics collection i am very inspired visit to your blog.